Half Price Admission at the Museum of Science on Friday Nights! 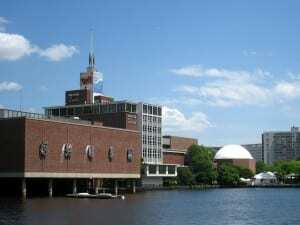 Every Friday night through August 31, 2018, The Museum of Science in Boston has half off admission to exhibit halls on Friday nights after 3PM. Full price admission at the Museum of Science for adults ages 12+ is $25 and children ages 3-11 are $20, so adult admission would be $12.50 on Friday nights this summer. This is a great way to check out the Museum of Science this summer without paying full price. Keep in mind you can still get free museum passes with your Boston Public Library card (available to any Massachusetts resident) but this is a great option if the free passes are unavailable or unfeasible. Also, many other local libraries offer discounts to the Museum of Science (typically $10 admission) if the free Boston library passes are booked. For more information about 50% off Friday nights at the Museum of Science in Boston, please head here. For even more discounts for the Museum of Science and other Boston museums and attractions, please head here.